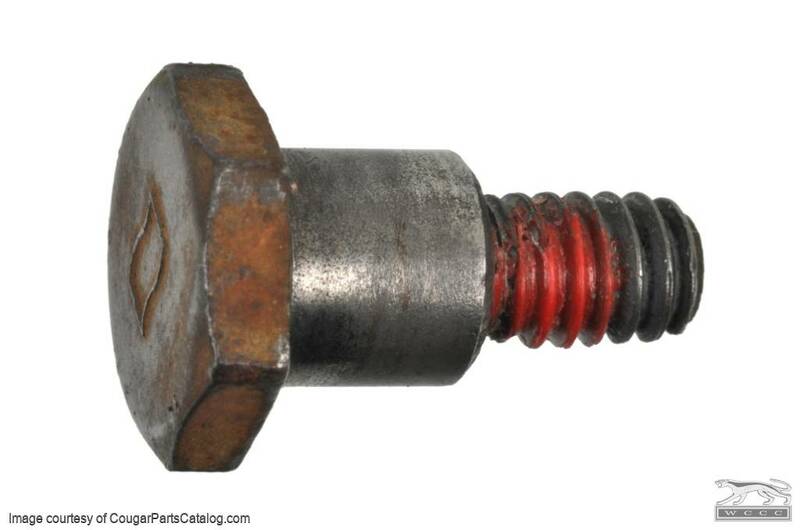 C7SZ-13A165-A Bolt like pin that one or both sides of the hidden headlight hinge rides on. 1967-68 Mercury Cougar uses 4, 1969-70 Mercury Cougar uses 2 on the outsides. Also used on many other 1967-71 Ford, Mercury, and Lincoln cars with the vacuum operated hidden headlights.